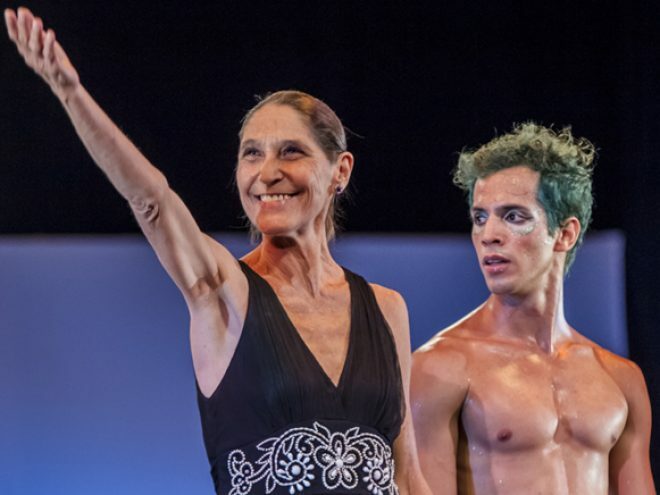 Although the choreographer had forewarned that she did not aim to make a version of Cabrera’s monumental book and that her piece was simply based on it, I nevertheless kept asking myself how Cárdenas would manage to stage the key elements of a text that has baffled many readers who believed they would find a sort of “Santeria manual” and discovered that the book is of a disconcerting conceptual and poetic denseness. The key to the piece was poetry. While Cabrera used this to explore the view of the Africans who had been brought to Cuba and their descendants—a topic that had rarely been studied in her time—to reveal their voices, myths, practices and experiences, Cárdenas grasped the spirit of this “book of books” through her unique method of creation, in which she applies combinatorial analysis and José Lezama Lima’s poetics. And following in the steps of the great poet, narrator and essayist, who said that only that which is difficult can be stimulating, Rosario Cárdenas presented her many followers a difficult, yet extraordinarily attractive piece. With an atmosphere that took the audience by surprise from the very moment they set foot in the house thanks to its plant motifs, the choreography demanded of the dancers an almost visceral adoption of its many incarnations, beyond a technique that was of course a given. The lights, the plain set design, the showing of audiovisuals and the wardrobe—although at times impractical—all contributed to the dancers’ performance. This was especially enhanced by the music entrusted to one of the most daring and intelligent contemporary Cuban composers, Juan Piñera; to DJ Iván Lejardi, whose work has matured by leaps and bounds; and to the rap group Fuera de Norma, who performed on stage. A piece of non-linear structure, complex symbolism and figurative denseness, sometimes reiterative and sometimes disconcerting (like the book that inspired it), Tributo a El monte needs to go on stage again, because, like Lydia Cabrera’s work and the Bible itself, it demands more than one reading. This show was performed at the Teatro Mella on September 6th & 7th, 2013.